If there ever is another run of this I'll be super interested! Hate to be the bearer of bad news, but this will be my only run of this set. Someone else is welcome to do another run, as it's just two colors: CR on CP. Since this barely made MOQ and I want to keep this set special for the people that did back this, I agreed to not run this color way again. Maybe someone else can give it a go? OK, GMK is shipping me the rest of the replacement caps that have been requested. Please let me know if there are any issues remaining out there. Looking forward to calling this complete! Reporting in: all keys accounted for, no anomalies whatsoever. Thank you very much for the group buy, Manifex. Ordered thru my reddit name, blacknosebear. No issues here, beautiful set. Wow. Beautiful! 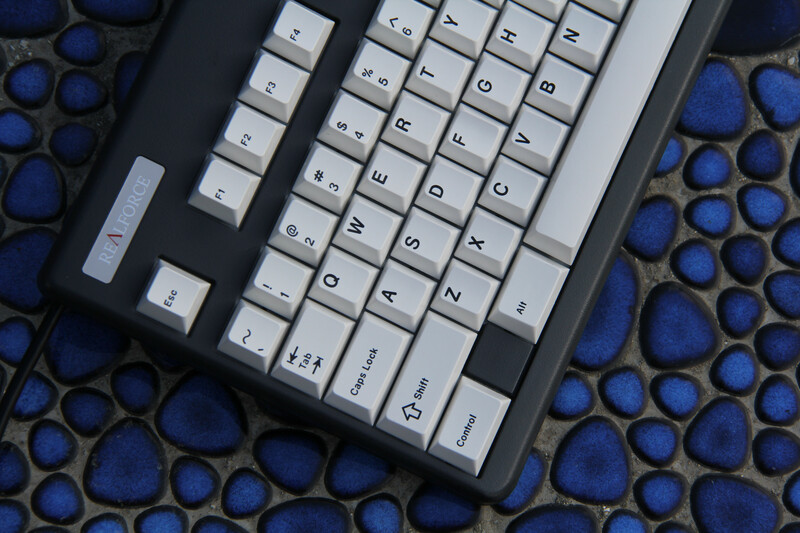 I really like that it compliments your Mistel! Please feel free to photograph and send me images. I can get GMK to replace. FYI, I've noticed one issue (have had 4 replacement requests) that there is a black dot on a key or two. One key had a mis-shot legend. None of the issues were due to my shipments, so this is just part of the process. GMK has assured me that they are using the photographs to better their QA process. Hi Everyone. Just checking in. Any issues? Seems like all packages should be delivered by now? Finally got the board deserving of this set. I give you, Stomrtrooper MK-0027. Any chance to get it replaced? See attachment. Also please PM me your Paypal so i can send you the missing $10 for shipping! Will do. I will include the process I've been using for replacements as well. I just started a new job on Thursday and have been super busy and probably will be for a couple week, so please be patient with my response time for a bit. Updates: I just received the replacements for the first round of people who requested them. I will be shipping them out sometime this week. For those more recently requesting a replacement, I will be able to deal with those on an individual basis. Just PM if you are having an issue with any of the keys. I'm looking for just 2 caps from this, does anyone have a 1u Win and Fn that might spare? 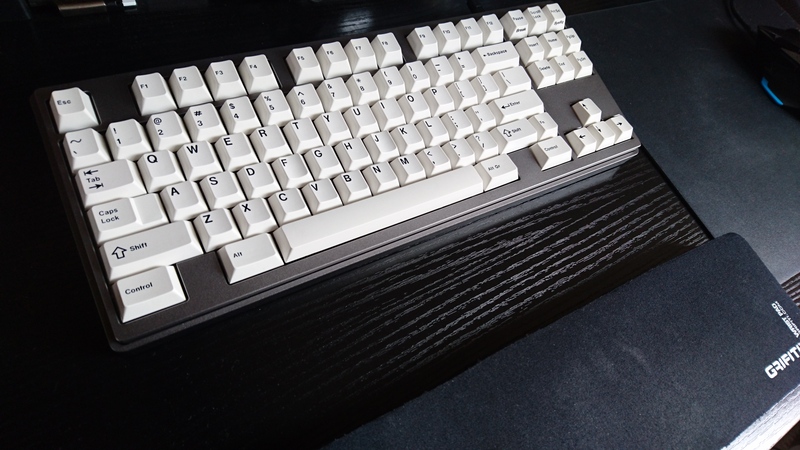 I received shipment of replacement keys from GMK a week or two ago. Since starting my new job, I've had a bit of a time crunch. I'll be packing up tonight or tomorrow and shipping out on Friday. Thanks for your patience as I wrap up the buy. I appreciate that. Before starting the group buy, I promised that I would be transparent and fully close a GB before starting another... Looks like sticking to that has paid off. The amount of work that goes into a group buy after its inception is much greater than that of setting the buy up. So much so, I don't know if I can pull another off! Let's hope so! He's the best GB leader I've encountered! Quickest replies too. Here's a picture of my board with this set . Goddamn. Is that a Viper?! Looks so sweet. 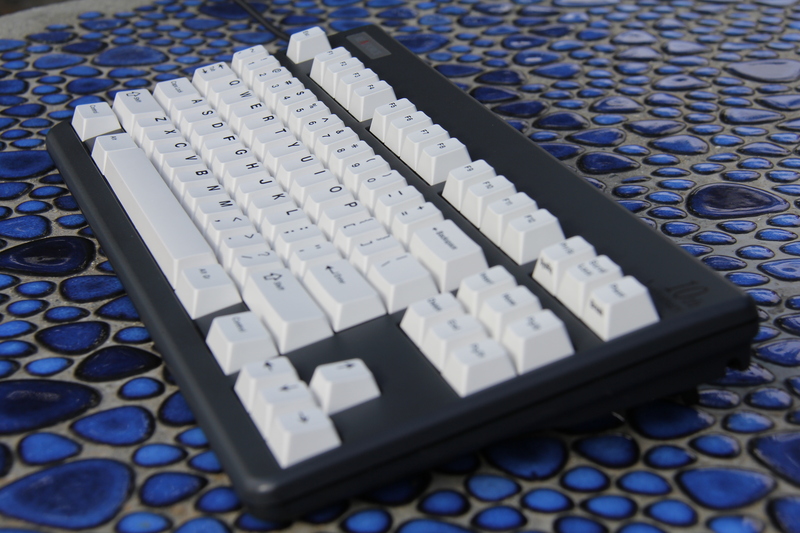 This is one beautiful winkeyless Realforce! Great looking board! 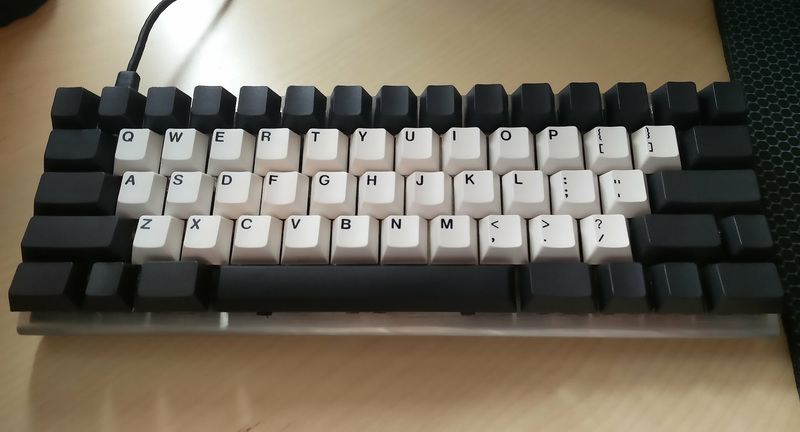 That proper 7u space bar support is so nice. 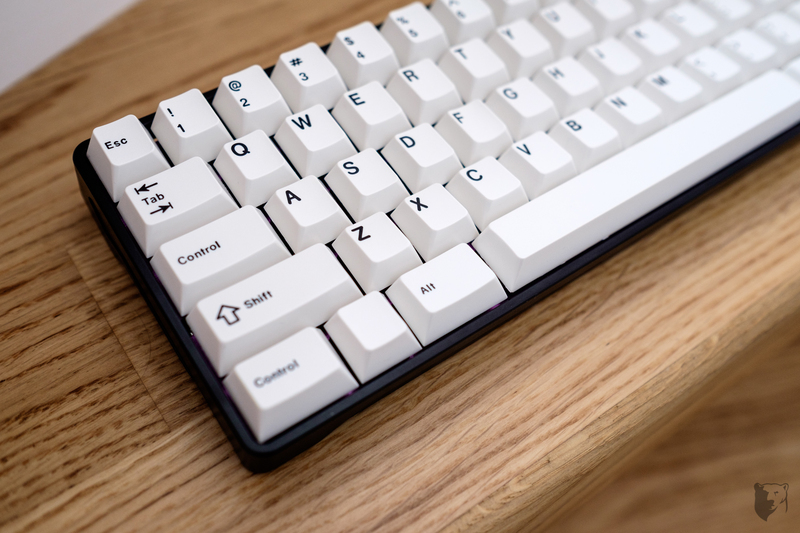 Literally the one thing that stops me from pulling the trigger on a topre board. Yes sir! Thanks again for running the gb! Holy ****. That looks amazing. Great build! What do you think of the Alt Gr on the right 1.5 Alt? That's a beautiful board. One of the few I want to acquire, actually. Hoping to pick up an R2. I sent out the first round of replacements and am doing a second/final round of replacements. If you don't see your name here, I must have missed you! Please resubmit! I have no extra sets or replacement keys to sell. I may do another group buy in the future, but will not be doing this colorway any time soon. The second round of replacements is complete. 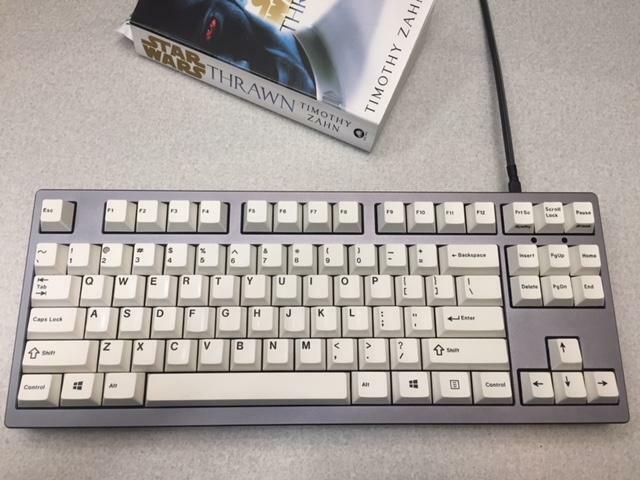 Feediko, I'm waiting on news from GMK. The thread will be left open for any inquiries/pictures people want to post. I had a great time running this group buy! See you next time. I totally forgot to post but I got my replacement cap about a week and a half ago. Thanks for a great GB MaNiFeX! I just wanted to echo this, MaNiFex has been nothing but pleasant to deal with! 20/10! It was cool to see the man himself on MechMerlin's video from the Portland meetup I jumped out of my seat. Haha! I was half drunk during that interview, but had a blast that night. I was surprised more people weren't drinking the pitchers I bought for everyone, so I ended finishing one. Then Merlin asked me to do it on my last beer. It's great to get some exposure on a channel like his! If you're ever in Portland, hit me up. There's a lot of us here, actually! Thanks for trying to get them directly shipped by GMK and also running this GB. Will probably save us both some hassle. I will do a proper photoshoot once I get the replacements/find time. 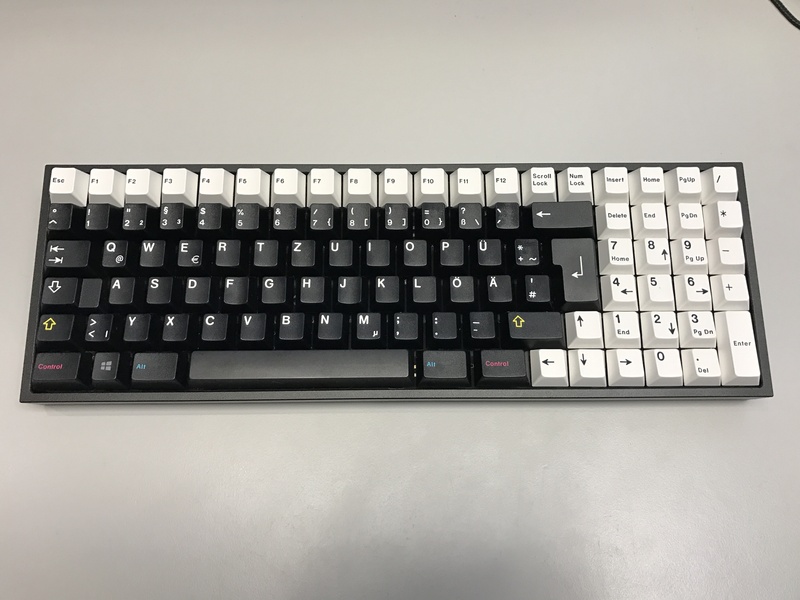 For a long time was looking for gmk color code "CP" "CR"
Awesome, I'm glad you got them! I love the colors of GMK caps that you are using (I see you got the blue/orange one, too!). So fun to see all the different Stormtrooper pictures. 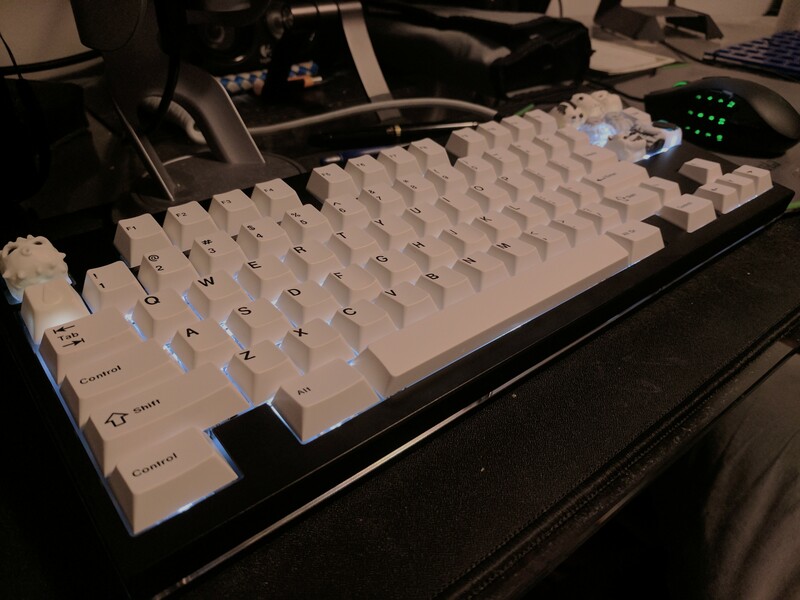 Super clean WKL/TKL!!! 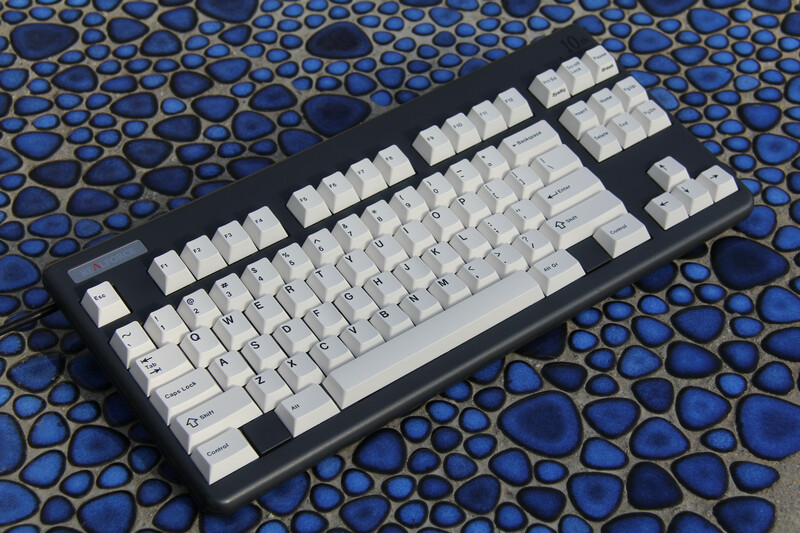 I love seeing the 1u Fn key in use. I'll post some of my builds soon. Thanks for a great group buy, guys! 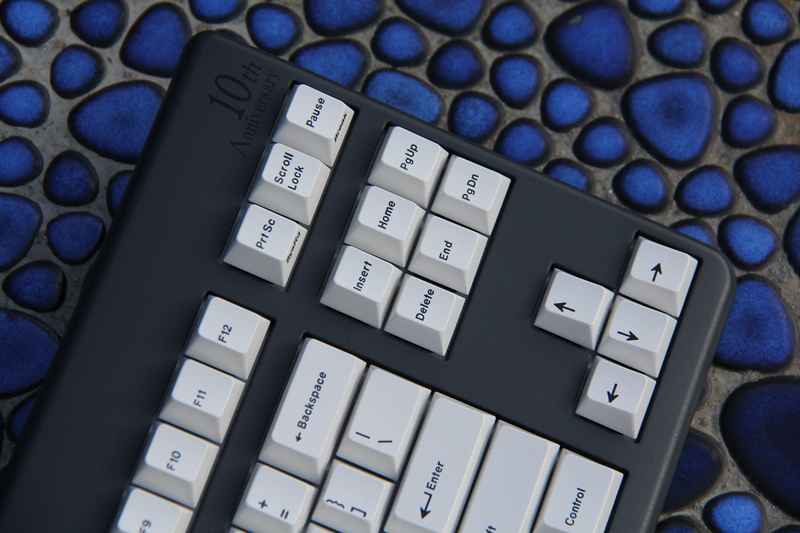 It has been a year since the inception of this key set and the GB is over! Thanks everyone! After having had them on hand for far too long, I put BBST on a board today, and, they look ace! Thanks for one of my fav GBs, MaNiFeX! Originally, I had intended for their premiere to be on May the 4th, but life happens and whatever. Finally found a home for my personal set. Page created in 0.182 seconds with 83 queries.